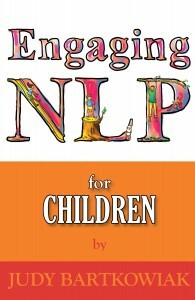 This is a great little workbook written for children aged 5-10 years as an introduction to NLP. Children are introduced to Vicky who is visual, Andy who is Auditory and Kevin who is, of course, Kinaesthetic. By reading about them and thinking about what they like to do they can find out which way they process events around them in life. They then go to discover more about themselves; whether they like to make choices or not, like detail or concepts, think about what they do want rather than what they don’t want and so on. In this way, they learn not only about themselves but also about others and discover that we are all unique. They learn some great NLP techniques such as anchoring, the Swish and the Time Line which they can use when they feel a bit sad or angry. They get the chance to think about what they are good at, their skills. There’s a great worksheet on goal setting and another on controlling their state of mind and behaviour. Then they learn how to reframe criticism as learning. Do you know what confidence is? It is when you feel good about yourself, when you feel OK.
Chris the crocodile has his thumb up to show us that he feels OK today but he doesn’t always feel OK. Sometimes he feels he is useless at everything…………….no-one loves him and he has no friends. Do you sometimes feel like that? I do. What you need to do is have a list that you can stick on your wall that reminds you of all the things you can do. Let’s start that list right now. I’ll help you. Can you do any of these things? Put a big tick right next to it if you can. If your child is slightly older NLP for Tweens may be more suitable. It is for children aged 10-15 years. 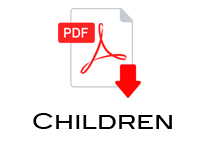 You may want your own workbook NLP for Parents or NLP for Teachers.